Computer crash is so common that it may have happened to all of us. Sometimes, computer crash or freeze is annoying, because in that case hard drive may become inaccessible, server go wrong and data get lost. There are many causes that can account for this: program malfunction or bug, power failure, computer gets attack by hacker or virus, human error, unreasonable configuration, system error, etc. Statistics have shown that the about 75 percent of all data loss situations are caused by totally human error and computer failure. No matter what the reason of data loss, the vital thing is how to rescue files when computer crashes and data gets lost. The popular solution is trying computer recovery freeware. Crashed computer recovery is the process that people rescue information, files and folders from storage devices which is mainly hard drive. Most of file restoring are performed when computer operating system goes wrong or file are deleted or formatted by mistake. The recovery process is quite simple no matter whether you are able to access operating system. The computer data recovery can be carried out directly without repairing system, because the repairing process is complicated and may overwrite lost files. Many users maybe hesitated to do crashed computer recovery, for they are worried about that they are lack of professional technical skill and knowledge. Actually, basic steps of file restoring are very easy and do not need complex or specialized training. Why it is so easy? The answer is easy-to-use computer recovery freeware is available. Qualified recovery software is released with testimonials and reviews from all walks of users. Recovery result can vary from one to another because of different data loss factors, thus computer recovery software should provide free trial version for all users and offer tech support. Also, a good computer recovery tool keeps striving to improving data recovery speed and results. Using such kind of software, users can retrieve data from corrupted computer or hard drive by themselves instead of asking help from recovery companies. 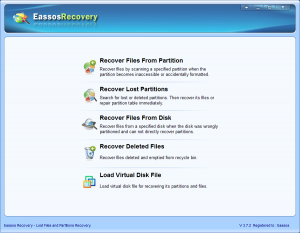 Eassos Recovery and PartitionGuru are two computer data recovery programs produced by Eassod Ltd. Users are able to restore all types of missing files from Windows computer, server, hard disk, memory card, etc. 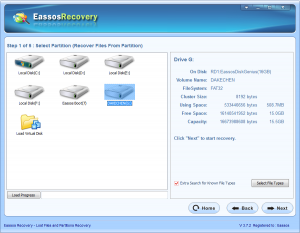 The following guide is recovering computer files with Eassos Recovery. Step 1: Install Eassos Recovery to your computer. If your computer crashes, then you can install this program to another healthy computer. The hard drive in question can be connected to the computer which installs Eassos Recovery. Step 2: Start Eassos Recovery and select recovery mode. Step 3: Select the hard drive and click “Next” to scan. Step 4: Preview and copy data. 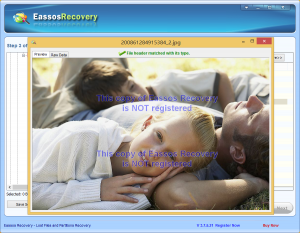 This entry was posted in Data Recovery and tagged computer recovery freeware, Crashed computer recovery by EASSOS. Bookmark the permalink.